Does the design of each stage have a connection to the boss? I guess without knowing what is effective against the boss, players will likely end up dying. Tsuchiya: In this game we’ve tried to create a clear context in which even young players will understand those weaknesses. Oda: We’ve ensured that the attributes and abilities of each boss are closely linked. Although, within those characteristics there are even some that will surprise the player and make them laugh. The bosses have a wealth of variation that stops them becoming boring. True, working out the particular style of each stage and boss was fun. Advancing through the Block Man stage by destroying the blocks was very pretty refreshing. Oda: There are players who enjoy that kind of destruction, but also those who would find destroying all of those blocks a pain. For those players, using the special weapon specifically designed for that stage will allow them to progress quicker. Yes, finally getting a hold of those special weapons is part of the appeal of Mega Man. I had a hard time with the electric traps on the Fuse Man stage. Oda: The truth is that there are no holes in the Fuse Man stage to fall into, but the player must be able to avoid all of the traps. If they struggle to do that, there’s also the possibility of using the Gear System. It seems that the timing is the most important thing for the Gear System. The appearance of each stage boss seems unique, but was there anything you were particularly focused on? Oda: Until now all of the characters in the series have had a ‘-man’ attached to a word that made the design easy to come up with, which then made the request to the designer in charge equally easy. According to the art director, by the way, it seems the bosses in Mega Man have to be created with 3 parts cool, 3 parts fun and 2 parts cute. We tried to maintain that ratio this time too. That’s the first time I’ve heard of such a ratio! How about the interaction between Mega Man and the stage bosses? 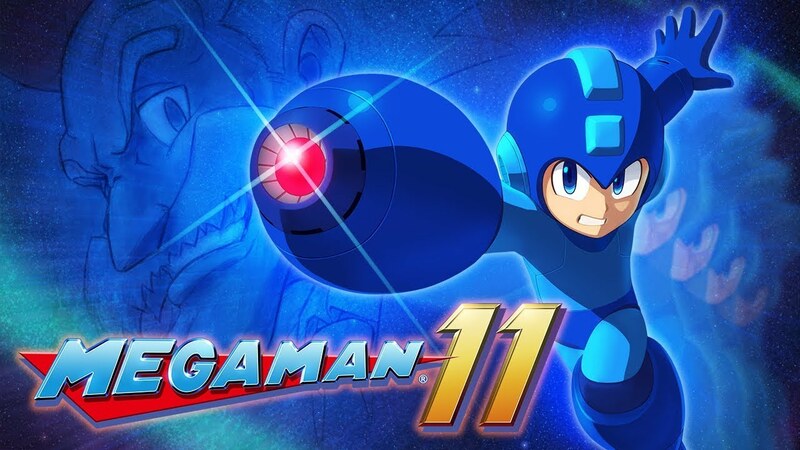 Oda: The dialogue between Mega Man and the bosses has always been popular, so even when the player does not use the Gear System, the dialogue varies. Because those patterns of speech are so diverse, you can also enjoy the interaction with the bosses even outside of battle. I can’t wait to see it for myself. In this game, depending on the weapon being used, not only Mega Man’s color but also his appearance changes, doesn’t it? Speaking of the special weapons, Fuse Man’s weapon looks particularly interesting. Oda: Fuse Man’s weapon has the ability to fire up or down and also the ability to travel along the ground. If you’re using the Power Gear, the electricity is able to pass through previously impenetrable surfaces and radically reduce the movement of enemies. Since it’s a weapon that has many applications in many different situations, I highly recommend it. Balancing the difficulty in the Mega Man stages seems like a difficult task. But I think with the Gear System you have upped the tempo, and also given birth to more tactical boss battles. Oda: How quickly can I beat him? How can I deliver the most damage? Considering these things in combat while alternating between power and speed, or maybe even thinking about using power for the first half of the fight and speed for the second. These are the things that make the battles more tactical and enjoyable. Tsuchiya: Even when you get fixed into you own style of play, you may see someone else playing and be surprised, thinking ‘you can even play like that!’ Those sort of new discoveries are the appeal of this game. Still, not only the difficulty, but also providing these types of tactical opportunities is important. Oda: Mega Man is known and loved as a tough game, but in this generation we weren’t sure of the appeal of a tough game. With the use of the Gear System and the provision of items, we tried to do away with unreasonable difficulty. With regard to that, I’m actually a little concerned about the objections fans might raise. Tsuchiya: In the early games there were times that, rather than just being difficult, the game was disheartening. So we told the level designers that simply designing the level so difficult that it requires 100 attempts is not something laudable for them or fun for the players. We want players of all abilities to be able, in 70 or even 30 tries, to be able to beat the levels with their own clever strategies. So you’re saying there are many different ways to play and tactics to use, and that there is no one correct route? Oda: There’s no way that everyone will play the game the way I do. We had many people play test the game for us, and that’s the feeling we got from all of them. That’s the reason we wanted that strategic freedom in the stages. And you also want people who are usually poor at action games to enjoy the game as well. Tsuchiya: So those players can enjoy the game casually, we have created four difficulty settings: Newcomer, Advanced, Original Spec and Expert. Specifically we put a lot of work into the Newcomer difficulty. Here, not only is the enemies’ health lower, but Mega Man can also be saved from falling by the flying support character ‘Beat’, as many times as necessary. Also, the damage from spikes had been reduced to zero, so even if the player makes contact with them they won’t die. Changing not only health and enemy damage, but also the environmental damage is pretty incredible. I think beginners will be very grateful. Tsuchiya: We were thinking of those who get tired of dying at the same point over and over again. We’d like those players to first make their way through the Newcomer difficulty. In the previous games, those who selected the lowest difficulty were unable to see the true ending, but that is not the case in this game. Whatever skill level of the player, we want them to be able to clear the game without exception. The player is also able to hide their scores from other players. This was something Oda was very keen on, and I’m happy that this was the case. Oda: As well as providing these assists for the beginners, though, we’ve also made sure to include all the elements an experienced player would want, so please don’t worry. Would it be best for those experienced players to play the game on the hardest difficulty? Oda: I’d love them to be able to, but the Expert setting may more be difficult than they are expecting. Although having said that, it isn’t irrationally difficult, and is in line with previous games in the series. But, this time around, you have to think about approaching the stages tactically, in your own specific style. I think completing the game on skill alone will be difficult. Oda: I think even if we used ‘Easy’ and ‘Normal’, it’s still not so clear exactly how difficult those settings will be. But because there is already this rooted idea that Mega Man is a difficult game, we decided to use this direct way of explaining the difficulties. Tsuchiya: There are also those players who don’t want to choose the easy setting on a game. But then, because of that stubbornness, they end up unable to properly employ their tactics and die again and again, which is a waste. Because of that we thought the policy of renaming the difficulty might make it easier for players to choose. True, I’m the sort of person who would avoid choosing easy if I could help it. (Laughs) But I think I probably wouldn’t have as much of an issue with choosing Newcomer. There’s also the possibility of improving in Newcomer and then challenging the harder difficulties. Oda: That’s right. The location of enemies is the same on all difficulties, so I think experience gained on those lower difficulties will come in useful on the harder ones. Tsuchiya: Newcomer is definitely easier when compared to the other difficulties, but you still can’t clear the game by just aimlessly firing off the Mega Man Buster charge shot. Whatever the difficulty, the fact remains that you need to think tactically. So you get the sense of the need for tactics on every difficulty. On the topic of difficulty, I think the players will be thankful for the shop component. Oda: In the shop you can buy a one-time item to negate the damage done by spikes called a ‘Shock Card’, an item to call in one of the support robots and also an ‘E Can’ to replenish energy. 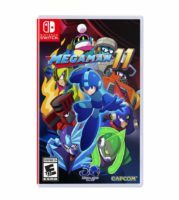 There are lots of different items you can exchange for screws, and also items that you can use to customize Mega Man’s abilities.